Assam: 'Dhumuhar xote mor bahu jugore nason' is Zubeen's biggest line! Assam: ‘Dhumuhar xote mor bahu jugore nason’ is Zubeen’s biggest line! 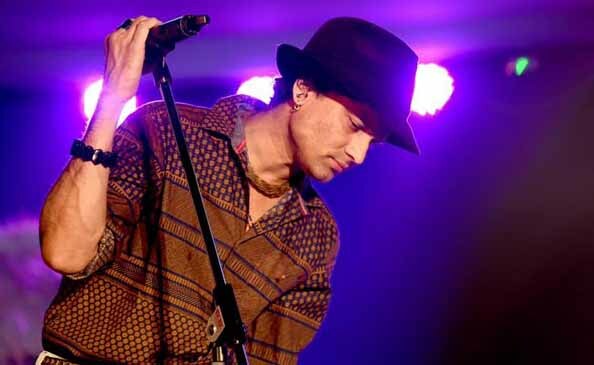 Assam’s youth heartthrob and singing sensation Zubeen Garg during a performance at Nalbari said that the line ‘Dhumuhar xote mor bahu jugore nason’ of his song ‘Mayabini’ is the biggest line that he has written. Zubeen said this during a performance in Nalbari recently. Zubeen Garg, born on November 18, 1972, who is a singer, music director, composer, actor and songwriter, has huge contributions in Assamese, Bengali and Bollywood music industry. He has composed and recorded a huge collection of songs. The song ‘Mayabini’ was recorded by Zubeen Garg for the Assamese movie ‘Daag’ which was released in 2001. “I dance with storm; I don’t care,” he said. “Mor endhaar eko naai (I have no darkness),” said Zubeen. Zubeen Garg, who is also the brand ambassador of the North East Festival organised at India Gate in New Delhi, performed on the stage of the festival on October 27 and October 28, 2018 nights. On October 27, 2018, he shared the stage of the festival with another younger generation’s heartthrob Papon Angaraag Mahanta and also performed on Sunday night.